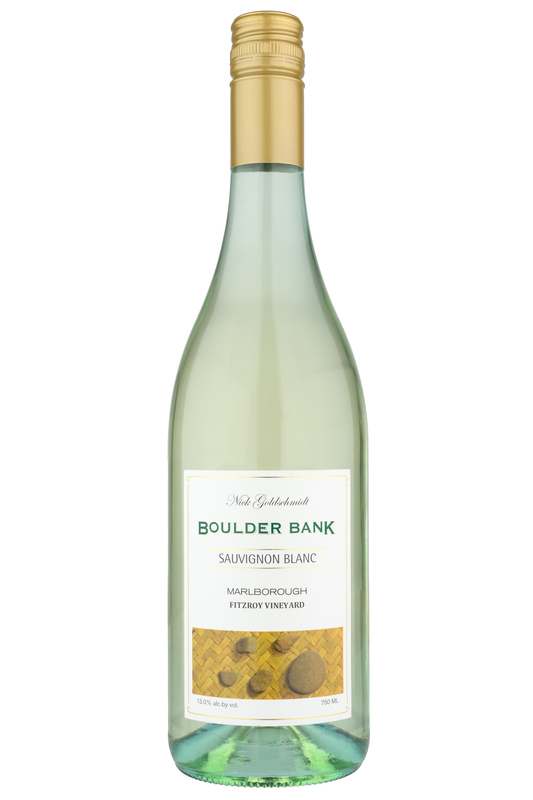 Boulder Bank wines are crafted from grapes grown on sustainably farmed vineyards in New Zealand. These vineyards are part of a nationwide effort called Sustaninable Winegrowing New Zealand. Comprised of river rock and sandy loam typical of vineyards near the Opawa River, Kerseley does hold a most unusual distinction: it lies below sea level. The salinity in the soil imparts an attractive minerality to the finished wine. Gentle afternoon breezes and cool night temperatures permit slow and even ripening throughout the vineyard and modest yields are obtained by cane-pruning. Separate shoots maximize cluster exposure. 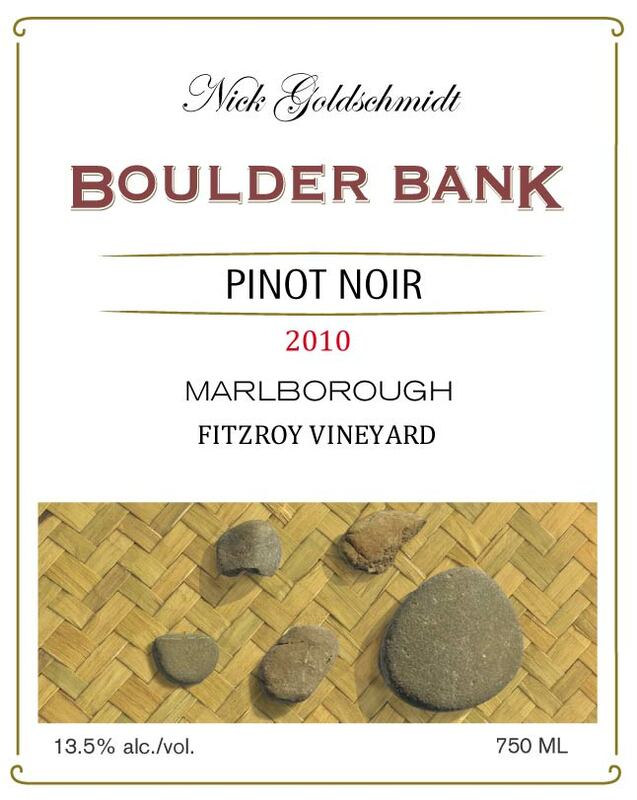 Nick visits Marlborough several times per year to ensure his meticulous viticultural regimen is followed. Tasting Note: Intensely aromatic and forward. 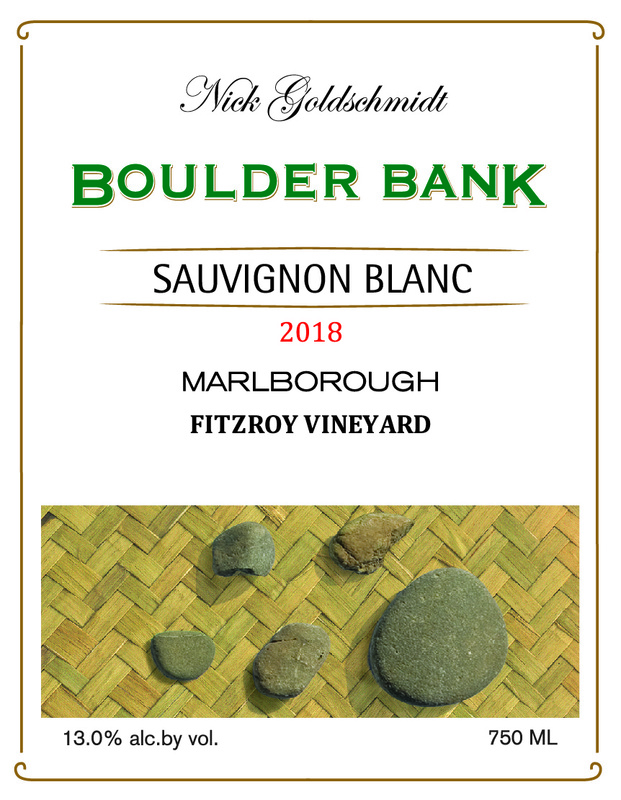 The orange, passion fruit, and guava flavors are underpinned with a touch of fresh herb and flint. Vibrant and zingy with great balance and a long, crisp finish. Tasting Note: Brightly engaging with a fruit-led charm and earth & floral notes. Ripe strawberry and cherry flavors are elegantly structured and delightful. Finishes on a spicy note.